With the constant advancements in technology and the rapid pace of mobile adoption, many companies are considering equipping their sales force with mobile apps to keep up with business and consumer demands. 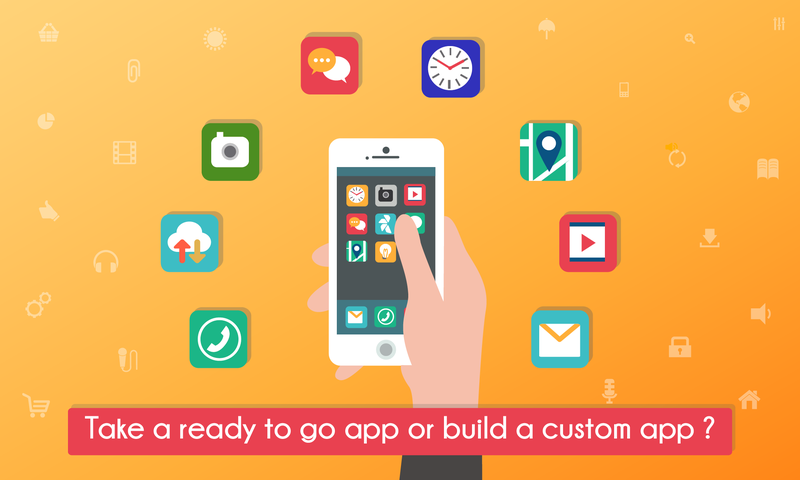 However, companies are faced with a dilemma when trying to make a decision of either buying a ready to go app or building a custom app. In this article we will have a look at the factors taken into consideration when choosing. What are the factors to be considered? As mentioned previously, custom apps require longer days of app development and also more staff. According to a research conducted by Forrester: “the cost of developing an iphone app, and other apps takes at least six months to be ready, and cost between $20,000 and $150,000”. And the expenses do not stop at this point, extra costs will be required for updating and enhancing the app. Making the decision to buy a ready to go app or a custom app can also depend on the company’s needs, too. As a matter of fact, very specific needs require custom build apps. However, nowadays, sales processes have much in common in most companies: A typical sales rep presents products/services, takes orders, checks products/services availability, consults customers/prospects profiles (purchase history, credit history, etc), writes reports and looks at sales statistics. This leads us to the point that ready to go apps with such features can represent effective options to the company’s sales department. Let’s have a closer look into SaaS (Software as a Service) apps (Cloud-based apps). Cloud-based apps, in most cases, function across multiple devices and interfaces which saves a considerable amount of time and money to companies. They also operate on the cloud, which gives the sales team access from anywhere at anytime. Another, advantage when choosing a SaaS app is the fact of not worrying about paying extra money for new features and app improvements. Moreover, problem fixing and new features can be released immediately to users. To conclude, there is no doubt that, sooner or later, companies will have to embrace mobility and they will face the dilemma of choosing between cloud-based apps and custom built apps. Therefore , they need to act fast or they will be left behind. In fact, having a well equipped sales force with the right tools can provide companies with increased revenues, with real-results and with a considerable competitive advantage.